Mmmm… cold green soup. Ahem, let’s try that again! 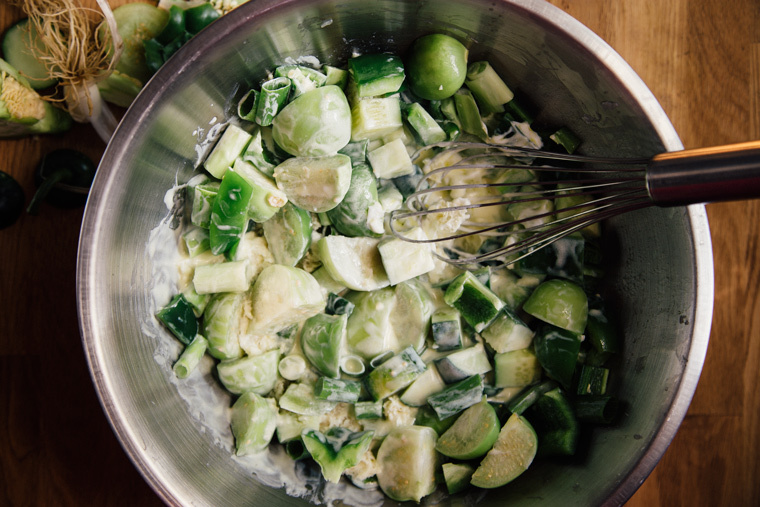 I made a refreshing dish that’s bursting with flavors of a summer garden. It’s creamy but light and chilled to make you feel alive again, even on the hottest of days. It lazily comes together – the blender does most of the work and golly, it even looks kinda fancy (for being green liquid). The key to this soup is letting the ingredients marinate, marry or just chill out for a while. After the flavors have some time to develop and get all delicious together just blend it up. Sipping summer from a spoon! 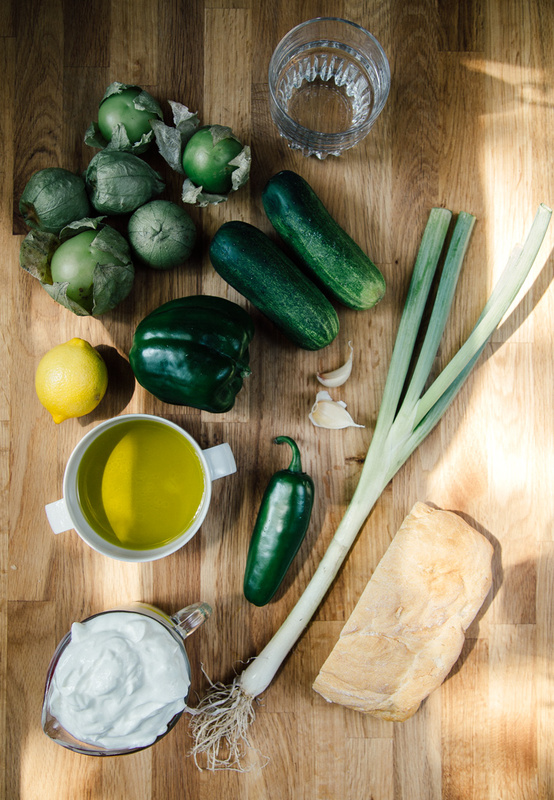 Whisk together the yogurt, vinegar, lemon juice, olive oil and salt & pepper in a large bowl. Roughly chop all the other ingredients. Place the chopped ingredients into the large bowl with the yogurt mixture, making sure the bread pieces are fully submerged. Let this sit for a few hours. Blend it up! Pour into a bowl and finish with your toppings. 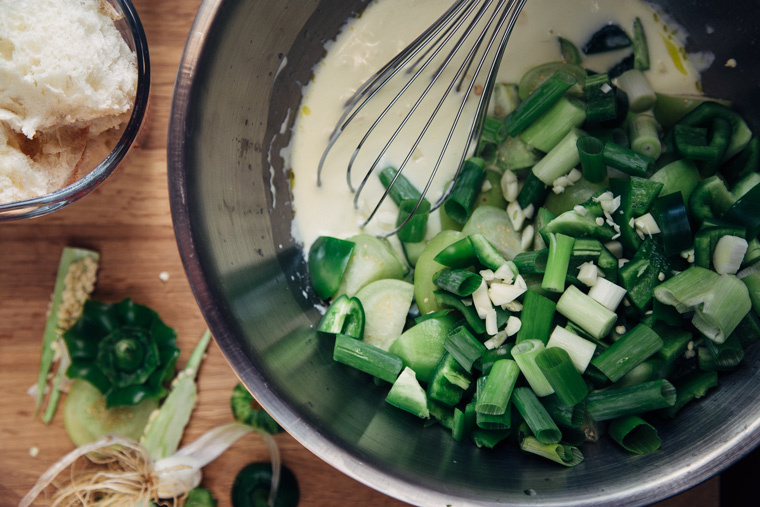 Whisk together the yogurt, vinegar, lemon juice, olive oil and salt & pepper in a large bowl. Roughly chop all the ingredients for the soup. Place the chopped ingredients into the large bowl with the yogurt mixture, making sure the bread pieces are fully submerged. Let this marinate for a few hours in the fridge. 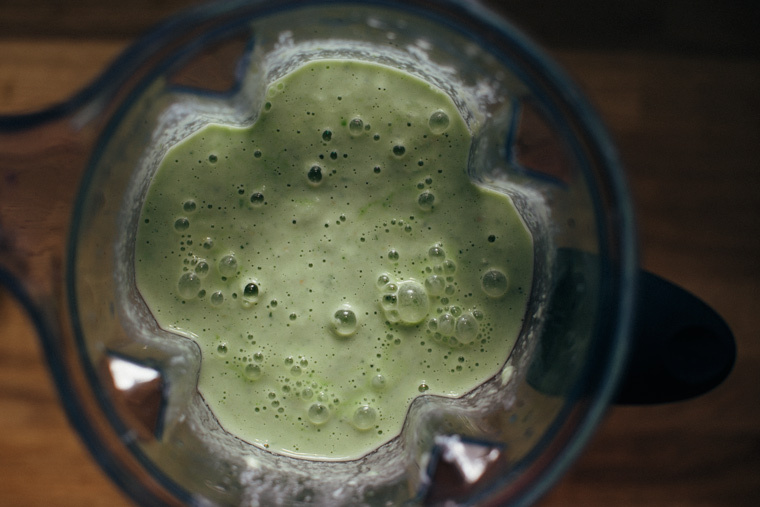 Put everything into your high speed blender and blend until smooth. Finish with the toppings. 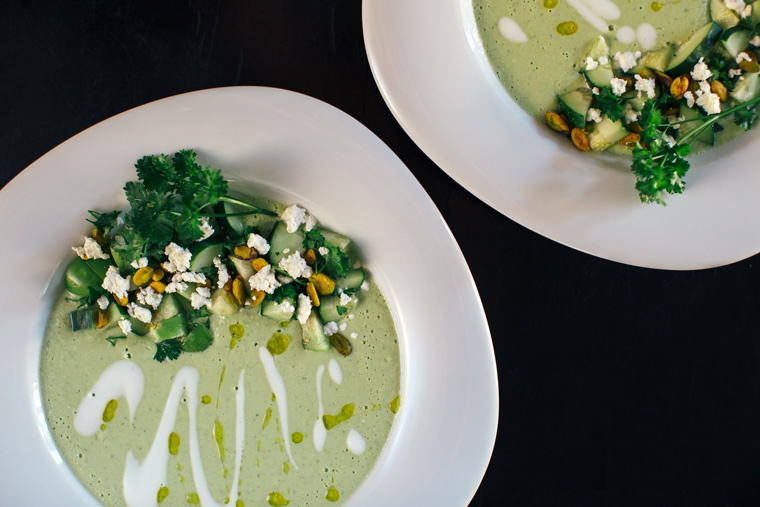 Want more gazpacho inspiration? Check out this insanely beautiful collection by Mark Bittman! 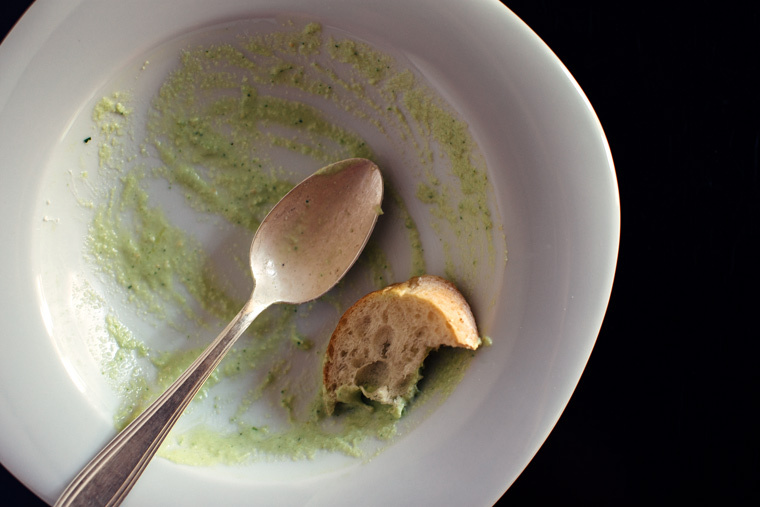 Still not digging the whole cold green soup thing? 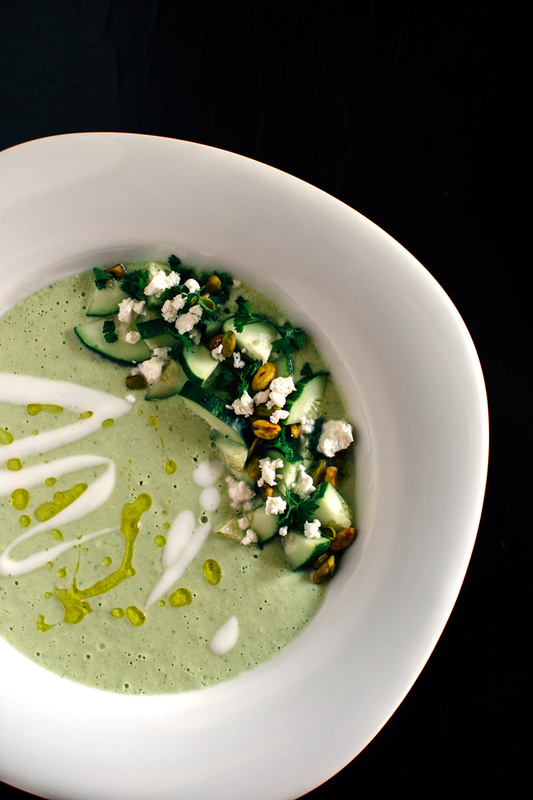 Then this hot green soup is for you. As always you posted another AWESOME recipe, my dear grace! 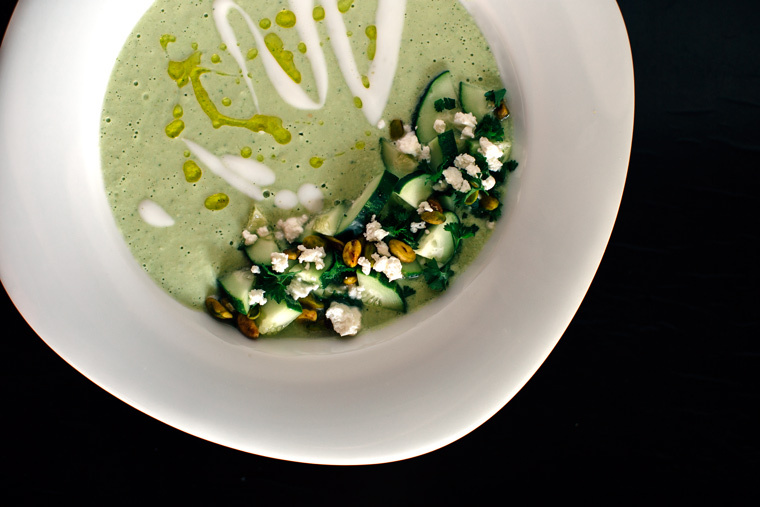 This Green Gazpacho looks so tasty and flavourful. Perfect for summer! I love all the ingredients on this recipe, too! Thank you so much Olivia! I always look forward to reading your comments! I wish I could share this soup with you! Have a great weekend! What a fantastic idea! Considering I live in Spain I can’t believe I never thought of this! I’ll have to have a go at this tomorrow. Thanks Jo! 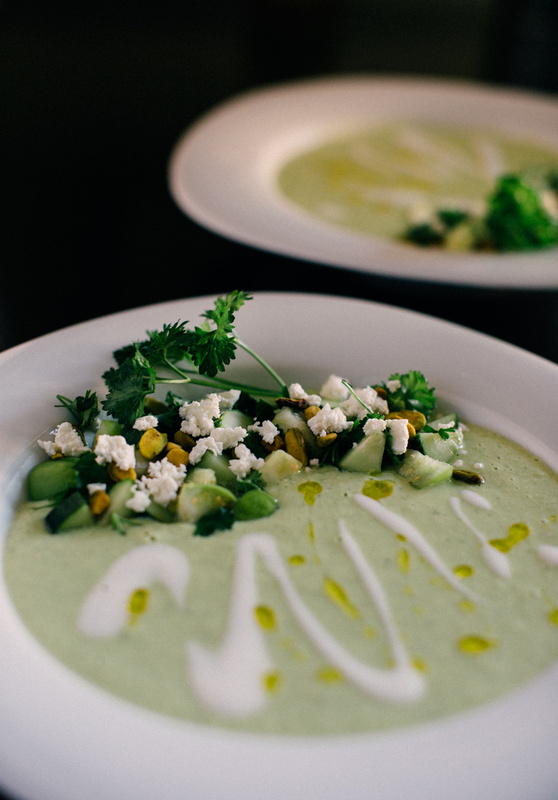 Cold soups are a tasty way to keep cool! Let me know if you try it! This looks so incredibly gorgeous and delicious, Grace! I love the topping too, and I wish I could get my hands on some fresh tomatillos here. I am flagging this recipe anyways for when I can in the future. Thanks so much Katie! There are so many tasty ways to make gazpacho! You don’t need to have tomatillos – but they are yummy in here! Your presentation is so lovely Grace, love the share of the bowls too, great recipe! Thanks so much Cheri! Have a great weekend! Thanks Sophie and yay for warmer weather! This looks beautiful! Perfect way to use up some summer produce. The colour just screams health and vibrancy! Love it. Also, with the bread. PERFECTION. I would so do that too. Great photos, as well -drool-worthy! Thank you Allison! Your comment made my day!